At TPC, we only sell products that we know work. The quality of Europipe exhaust systems easily surpasses that of the factory and every other exhaust available in the aftermarket. 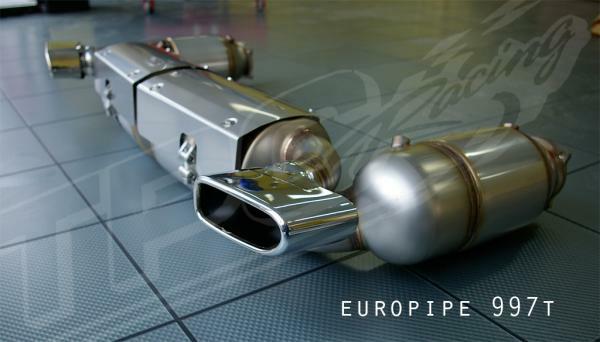 Assembled with precision welding and manufacturing techniquies, each Europipe exhaust is a work of art and engineering. Many aftermarket exhaust companies sell highly polished stainless exhaust systems to hide flaws in the building process… With Europipe there is no hiding because there are no flaws. Even as a direct bolt-on to our test mule, it dynoed(in stock form w/ no flash) a very impressive 28hp to the tires, with consistant gains across the rev-range. 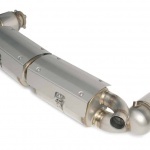 In highly modified cars, this exhaust becomes even more important, as it is one of the only exhaust systems available that features larger diameter piping throughout its entire length. 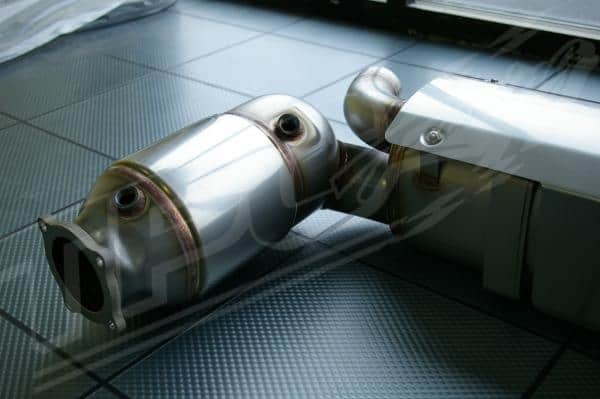 In addition to it’s massive piping, providing hugely increased exhaust flow, the Europipe exhaust system also provides the largest, most efficient catalytic convertors of any aftermarket exhaust available. These massive cats are one of the reasons that the Europipe exhaust can move so much more exhaust gas compared to the competition. Europipe exhaust systems are known for their intoxicating tone. The sound from these pipes will please the most discerning ears. With its crisp cold startup note, it soon settles into a deeper ,smooth, and refined rumble. However, with even slight applications of the throttle, the driver is treated to the sounds of turbochargers spinning and a bark that simply means business. With all of the tonal bliss, one would expect some loss in normal driving confort. To the contrary, noise within the cabin is minimally effected, and the driver can enjoy normal commuting with ease. 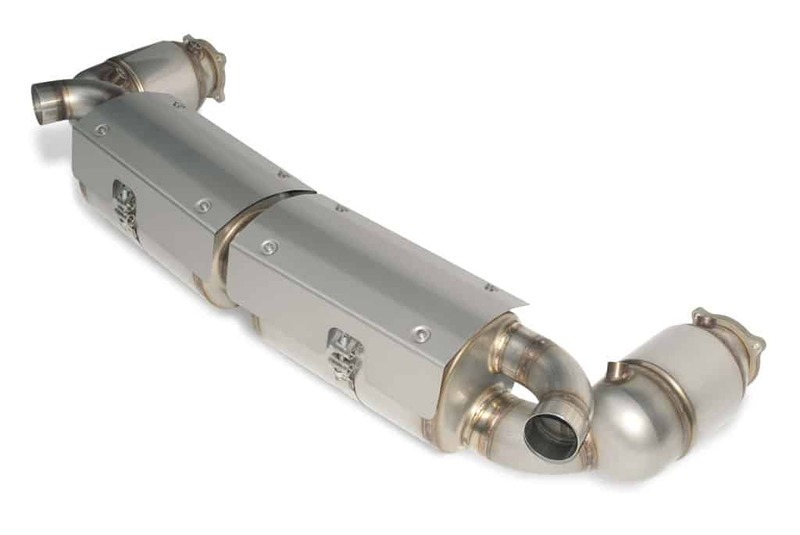 With it’s large diameter piping, huge, efficient catalytic convertors, unmatched construction, and perfect tone, Europipe exhaust systems are the best solution for your Porsche Turbo.